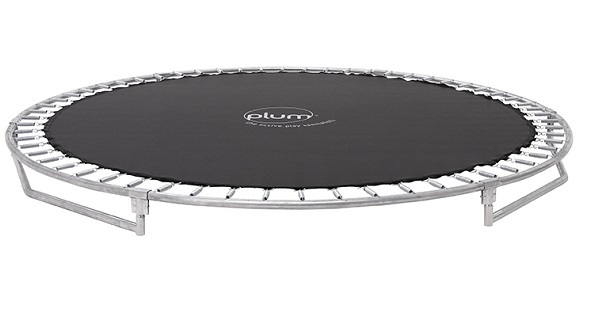 Plum®’s innovative 12ft In-Ground Trampoline has been specifically engineered for sinking into the ground. With no need for an enclosure, the unobtrusive design blends seamlessly into the garden and offers limitless play. As seen in the Independent's '12 Best Trampolines' Feature. With a steel frame galvanised inside and out, Plum®’s In-Ground Trampoline promises extra protection from rust and degradation. Plum®’s In-Ground trampoline is fitted with a vented jumping mat and safety pad, specifically engineered to reduce airflow through the trampoline and optimise bounce performance. With no enclosure and no need for steps, Plum®’s In-Ground Trampoline is ideal for free, open play. Outdoor use only. Only one user at a time - collision hazard. Only for domestic use. Please allow a 2m safety perimeter. Adult supervision required at all times. 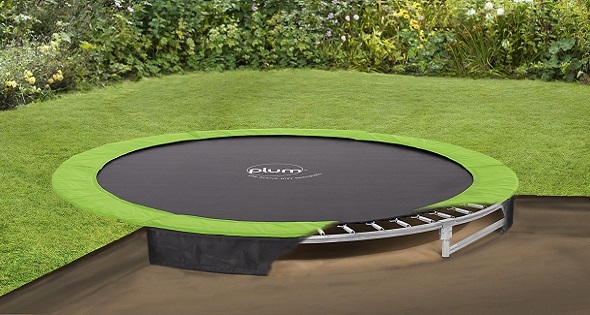 Introducing… The Plum In-Ground Trampoline! 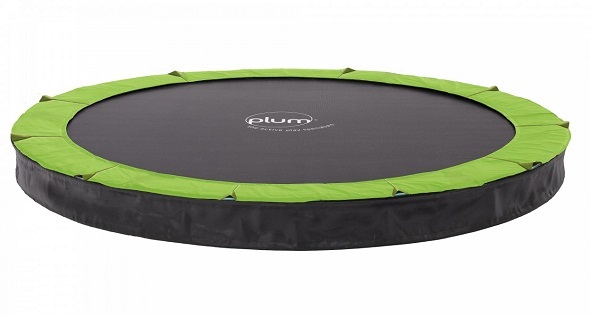 Earlier this week, Plum Play launched one of their brand new products to the Australian market… The in-ground trampoline! The in-ground trampoline has been specifically engineered for sinking into the ground, meaning that there is no need for an enclosure. The unobtrusive design blends seamlessly into the garden, allowing for limitless play! 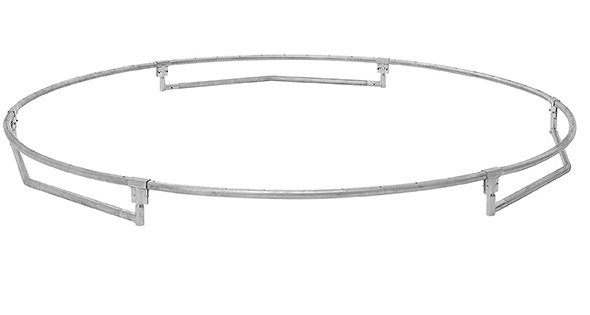 With a galvanised steel frame, Plum’s In-Ground Trampoline promises extra protection from rust and degradation. The trampoline frame uses super thick, 2mm gauge steel to deal with the added moisture in the ground, giving strength and longevity. 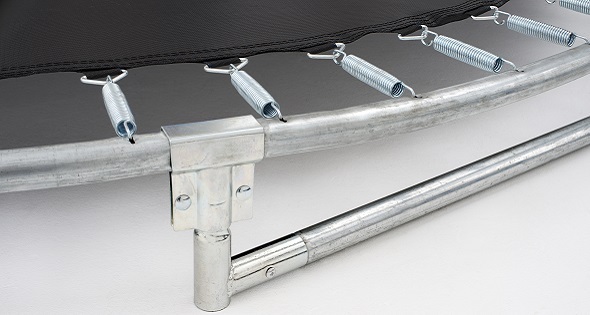 Each trampoline leg is held in place with Plum’s patented Tramp Klamp brackets. The Tramp Klamps fit over the leg and frame joint, reinforcing the steel frame structure for even greater stability and protection from the elements. Shorter length legs help the trampoline sit flush into the ground and reduce the size of the hole to be dug. 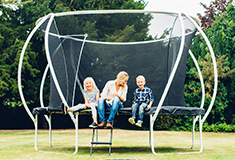 Plum’s In-Ground trampoline is fitted with a vented jumping mat and safety pad, specifically engineered to reduce airflow through the trampoline and optimise bounce performance. It’s the perfect trampoline for junior gymnasts and aspiring acrobats. Worried about dirt? Each trampoline is fitted with a retaining wall to provide a barrier around the trampoline, preventing soil and dirt from falling underneath to preserve the jumping space. So, why should I purchase an in-ground trampoline? 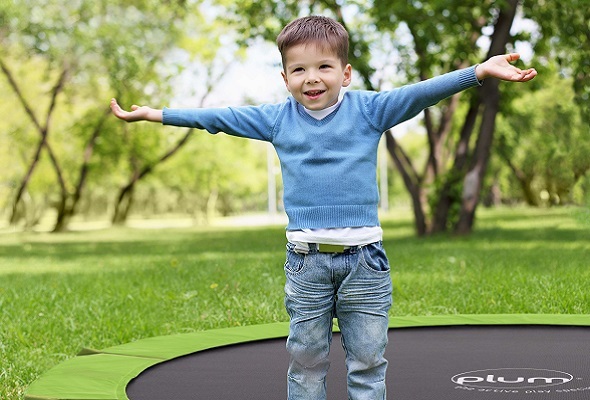 Overall safety - As the in-ground trampoline sits flush with the ground, the height off the ground when bouncing is significantly reduced. This means that off-track bouncers simply jump onto soft grass. Garden design – One of the main reasons our customers love in-ground trampolines is because it blends seamlessly into any garden. It makes gardening and cutting the lawn a breeze, as there is no need to move the trampoline to get underneath. 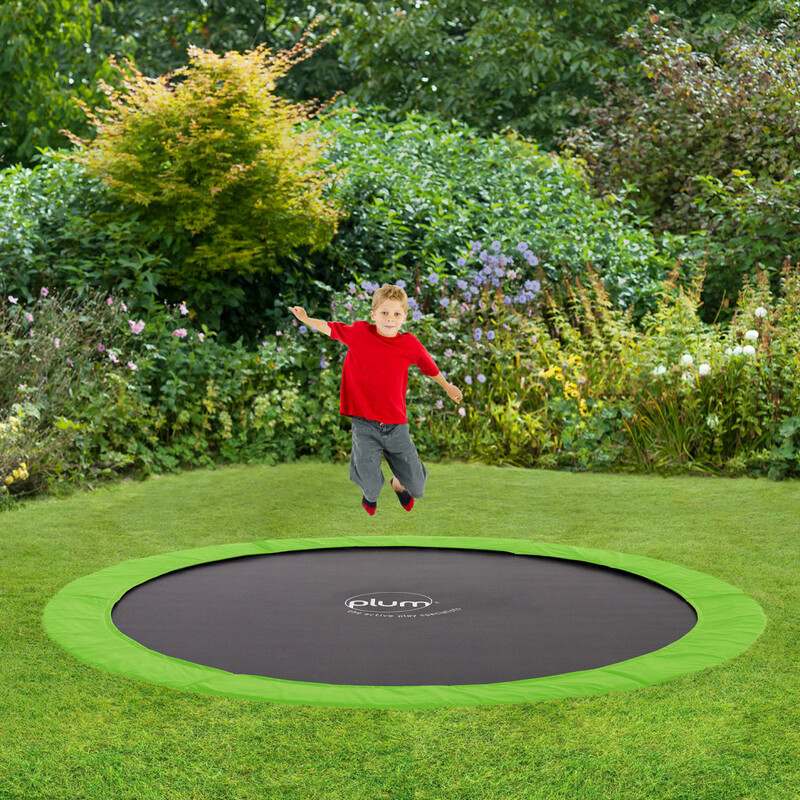 All Plum In-ground Trampolines come supplied with a green cover, meaning that you can prolong the life of your brand new purchase. Encourages creative outdoor play – In-ground trampolines allow for children to add a whole new dimension to their outdoor games. 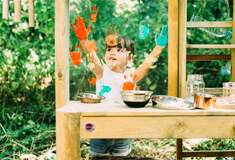 They can use their creativity to form new outdoor games that incorporate the bouncy surface. Great for first time bouncers – The Plum In-ground Trampoline offers free, open play, meaning that little ones can easily bounce. 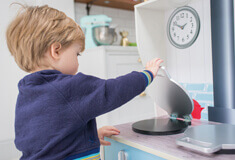 With an in ground trampoline, there is no need for little ones to climb up onto the trampoline and through a net to jump. Want to learn more about the Plum In Ground Trampoline? Head over to www.plumplay.com.au to find out more, or call us on (02) 8968 2200.